Are you excited for Halloween this year? Besides getting to make and munch on some amazing Halloween Cupcake recipes I am looking forward to the cooler weather. I don’t know what it is about this year but, I am thinking bring on the holidays! This week I have been checking out Pinterest and my favorite bloggers for Halloween cupcake recipes. I found some pretty spectacular Halloween cupcake recipes and put them all together in this 30 Spectacular Halloween Cupcake recipes roundup. 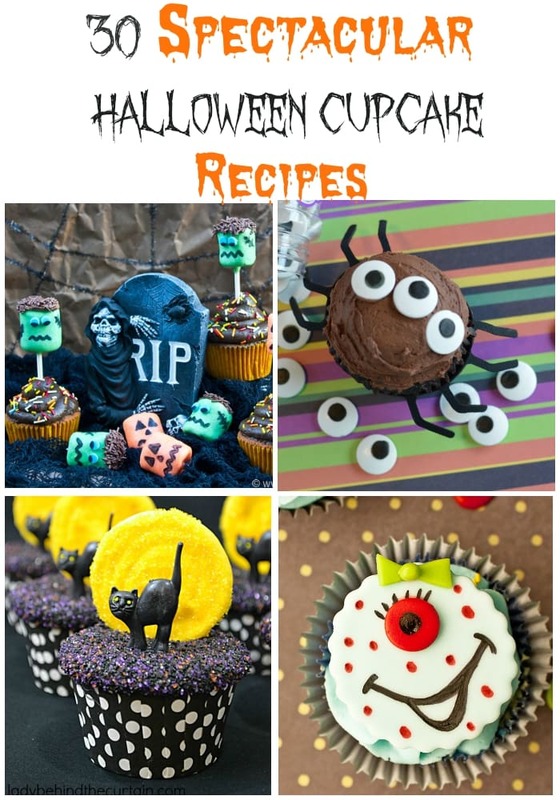 These 30 Spectacular Halloween Cupcake recipes are great for Halloween parties or just to make something special for the kids. My grandkids know Grammy is usually going to make some fun Halloween treats. They would be pretty disappointed if I didn’t. 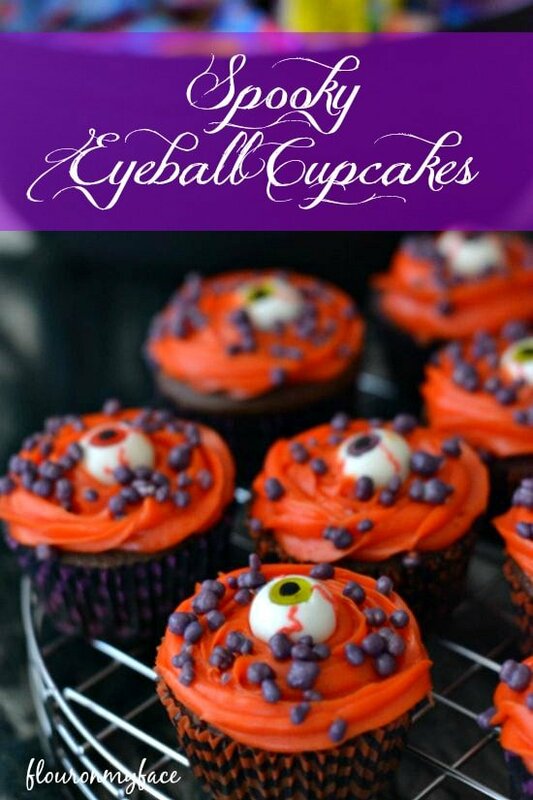 Last year I made these Easy Spooky Eyeball cupcakes for them. They loved them and they were so easy to make. If you are looking for the (affiliate link) gummy eyes I used you can find them here. 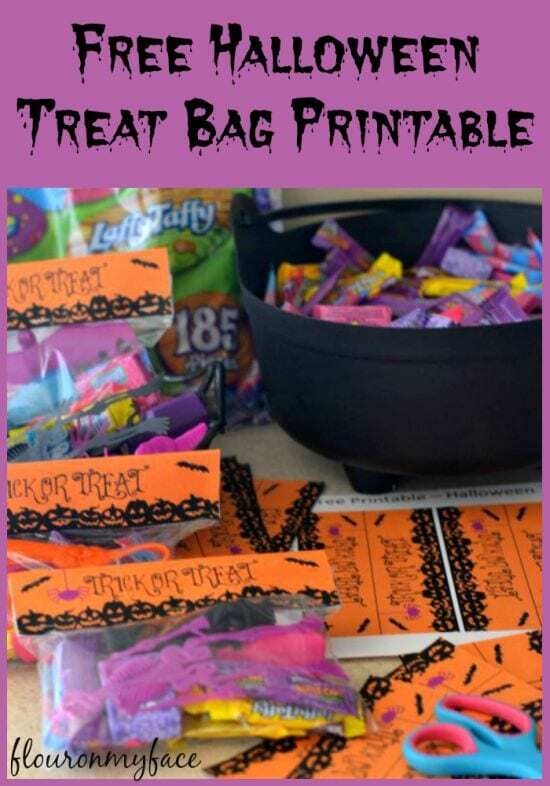 If you want to make Halloween Treat Bags for a Halloween party or to package up Halloween candy for all the little trick or treaters I shared this FREE spooky Halloween Treat Bag topper printable. 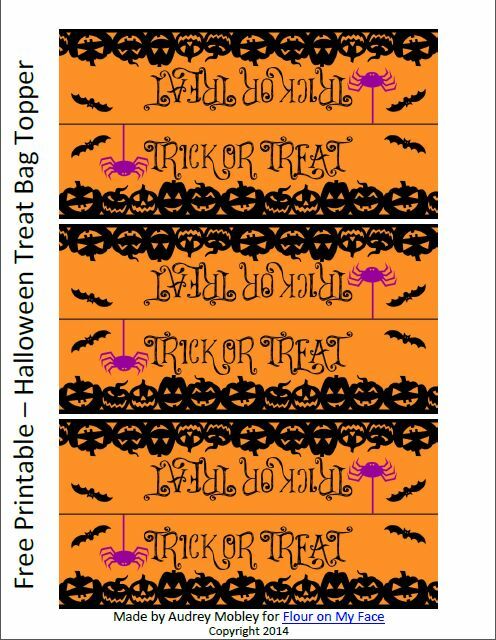 You can print out as many as you need and staple them to the top of(affiliate links ahead) sandwich size ziplock bags. I printed them out on heavy weight card stock and they were very durable. 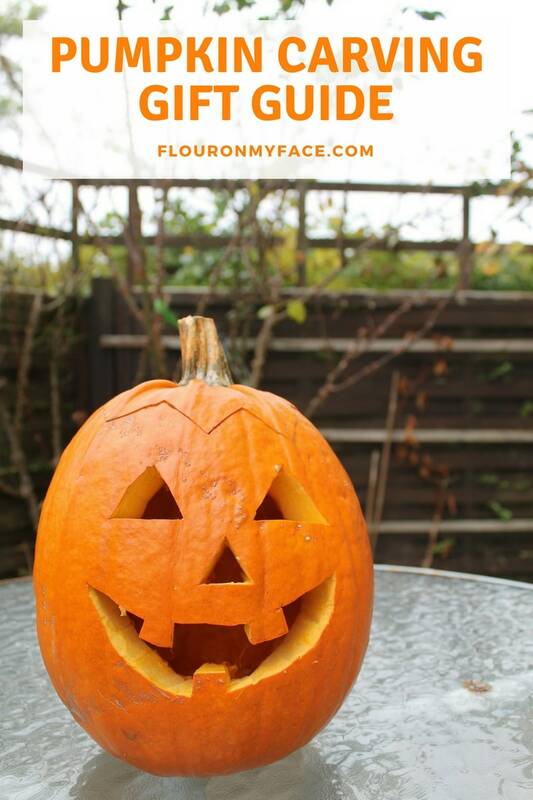 Planning a Halloween Pumpkin Carving Party? Check out the Pumpkin Carving Gift Guide for all your pumpkin carving tools. 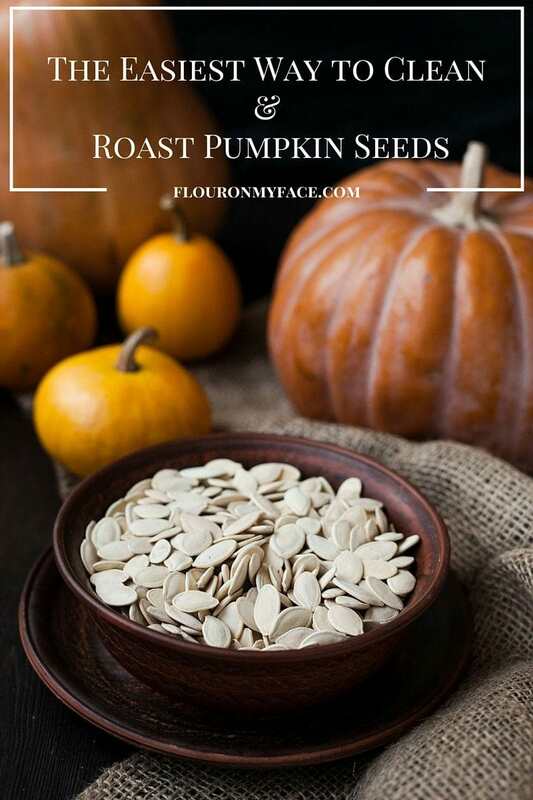 Save those pumpkin seeds because you are going to want to check out my How To Clean and Roast Pumpkin Seeds post where I divulge the secret to cleaning pumpkin seeds so you can make roasted salted pumpkin seeds the family can snack on.